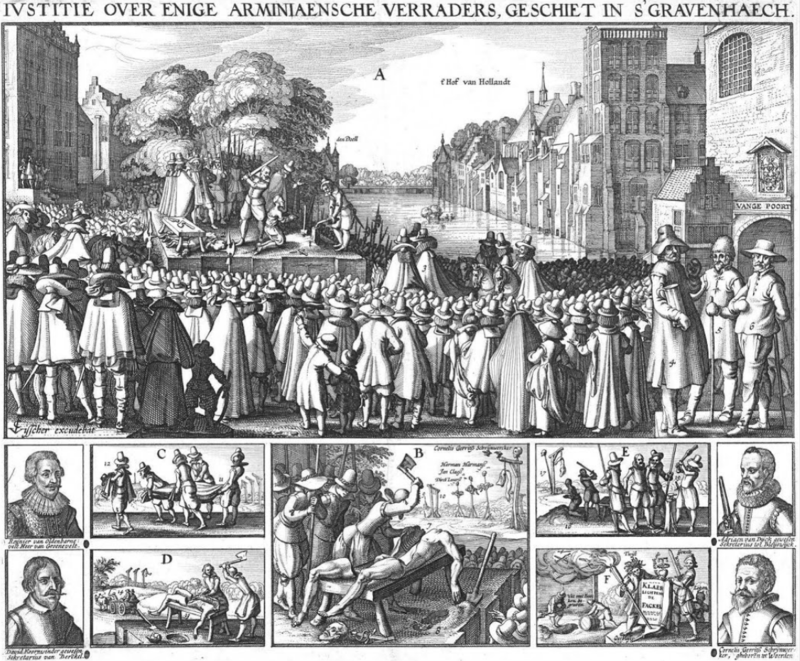 Reinier van Oldenbarnevelt was a chip off the old headsman’s block on this date in 1623, beheaded in The Hague for plotting to avenge the beheading of his father. 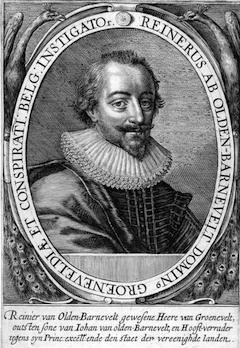 The old man, Johan van Oldenbarnevelt by name, had lost a power struggle to Maurice of Orange and gone to the scaffold in 1619. Full of murderous filial piety, our man Reinier (English Wikipedia entry | Dutch) conspired with his brother Willem and others of their faction to return the favor on Maurice by having a gang of toughs ambush him in early February. Dutch illustrator Claes Janszoon Visscher depicted the son’s execution, as he had once depicted the father’s. For an analysis of the scene, see John Decker’s Death, Torture and the Broken Body in European Art, 1300-1650. A national revenge drama 21 years in the making culminated on the gallows of Pentonville Prison on this date in 1940. The story of Udham Singh‘s hanging begins long before and far away in the British Raj. 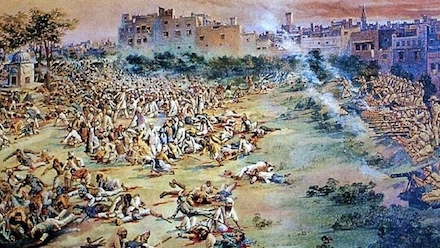 There, a crowd of 20,000-25,000 protesting for independence in the restive Punjab city of Amritsar were wantonly fired upon by Raj authorities — an atrocity remembered as the Jallianwala Bagh massacre. British authorities acknowledged a staggering 379 dead; Indian accounts run much higher than that. British opinion was not quite so approving; indeed, many Britons were outraged and both Dyer and O’Dwyer ended up sacked. But as is usual for a horror perpetrated under the flag they also never faced any sort of punishment. 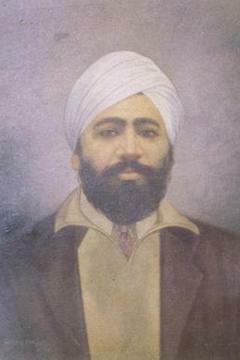 Until Udham Singh, avenger, entered the scene. A survivor of that horrific day — when he’d been dispatched from the orphanage that raised him to serve drinks to the protesters — Singh had unsurprisingly thrilled to the revolutionary cause. A Sikh by birth, the name he adopted, Ram Mohammed Singh Azad, gestures to his movement’s now-remote spirit of unity across sect and nation. Come 1934 Singh had made his way to London, where he worked as an engineer and quietly plotted revenge against O’Dwyer, pursuant to a vow he had taken many years before. (Dyer escaped justice in this world by dying in 1927.) And on March 13, 1940, he had it when the retired colonial hand addressed a joint meeting of the East India Association and the Royal Central Asian Society at Caxton Hall. As proceedings concluded, Singh produced a concealed pistol and fired six shots at the hated O’Dwyer, killing him on the spot. Like many (not all) of his countrymen, Singh gloried in his long-awaited triumph in the few weeks remaining him. I did it because I had a grudge against him. He deserved it. He was the real culprit. He wanted to crush the spirit of my people, so I have crushed him. For full 21 years, I have been trying to seek vengeance. I am happy that I have done the job. I am not scared of death. I am dying for my country. I have seen my people starving in India under the British rule. I have protested against this, it was my duty. What greater honour could be bestowed on me than death for the sake of my motherland? 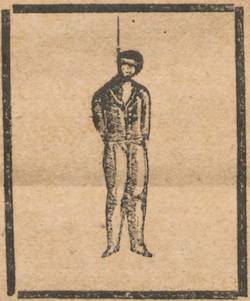 On this date in 1824, David D. Howe (or “How”) was publicly executed at the upstate New York town of Angelica. Up to five or six thousand souls — several times the population of Angelica — were said to have turned out on a fair springtime morning for the hanging. Howe’s fate could be read as a cautionary of life before the bankruptcy code. Financially ruined by an unsuccessful investment in a turnpike, Howe attempted to recover himself by farming only to sink ever deeper into debt. Creditors soon came to drag him cruelly under the water line, and in the summer of 1823 they repossessed much of what he owned — including “all my crops, my horses, cattle, and even my farming utensils,” which of course cratered the farming venture into the bargain. “Had I had time to have turned my property, I would have been able to pay my honest debts,” Howe complained (somewhat optimistically, given his track record) from his dungeon a few days before he hanged. And the worst of these oppressors in his mind was the victim, Othello Church — who seized “possession of much more than he was bound for, (in my opinion, and which he acknowledged to several persons before his death. )” From Howe’s desperate standpoint, Church “had taken advantage of my troubles, and taken property from me wrongfully, and several other persons seemed combined with him to work my destruction.” The two traded high words often and in public; Howe’s obvious motive would in time help to cinch the circumstantial case against him because he was sought so immediately after the man’s murder that his horse was discovered still damp from its evil ride, and the muzzle of his rifle not yet cooled from the assassination. Still, Howe could justify the fancy of escaping detection: after all, motive had not been enough to convict him when he was arrested — correctly so, he would admit in gallows’ shadow — for vengefully torching the barn of another vulturous creditor. I hitched my beast near Mr. Spear’s shop — took out my knife and rubbed the flint that it might not miss fire. — I took the mitten from off my right hand and put it in my pocket, and was careful not to drop any thing whereby I might be detected. I then stepped to his kitchen door, which opened near the head of his bed, and stood 5 or 6 minutes on his door stone. All creation seemed locked in slumber, and one dread silence reigned through all the works of God. Now my bold heart even trembled at the thought of an act so desperate, and every vibration of my soul seemed shrinking beneath the horrors of the scene. I rapped at his door, and shuddered and the very noise I made, and was on the point of retiring, when his wife, I think, awoke him, and he exclaimed, “Who is there?” I endeavored to alter my voice, and answered, “I have a letter for you;” he then said, “walk in;” I answered, “have the goodness to open the door and take it.” He arose, and as he opened the door, as soon as I saw the appearance of his white shirt, I shot at venture; I took no sight, and had the gun by my side, and I think the muzzle was not more than three or four feet from him. I then heard him exclaim, “Oh! my God, my God! !” I heard no more of him. I then returned to my beast; and every step was marked with care, lest I should fall or loose something, as it was slippery. The shocking cries and shrieks of the family broke the midnight silence, and rent the air with horror, which I heard considerable distance. I then rode with great speed home. I dismounted and loaded my gun in haste, and set into the window whence I had taken it; then put out my beast, went to bed, and went to sleep. The quotes above all come from The Trial of David D. How for the murder of Othello Church at Angelica, which is freely available here; it contains the evidence given against How(e) at trial as well as the confession he dictated to Rev. Joseph Badger. Howe seems by Badger’s account to have hurled himself sincerely, and almost voraciously, into the pious repentance expected of a condemned man. One might well imagine the grateful heart with which Howe, so lately picked into penury by stone-hearted foes, greeted the clergymen and neighbors who now took such an interest in his salvation. March the 18th. He sent for me at daybreak. I found he had a restless night, and was in great distress. I made him several visits ; his family came to take their leave of him forever. At 3 o’clock P. M., the Rev. Mr. Boach, a Methodist minister, preached a short discourse in the dungeon from John 3:16. Five clergymen were present, and the scene was solemn. Mr. How took the lead in singing two hymns, and carried his part through in a graceful manner. In singing the first, he stood up and leaned partly on the stove; held his little girl by one hand, who sat in the lap of her mother, and with the other he took the hand of his affectionate brother, who stood by his side. At the close of the meeting, his wife gave him her hand for the last time. He embraced her with fondness, and when he pressed his little girl to his bosom (about four years of age) he wept aloud. He requested that several Christian friends should spend the night with him in prayer; thus his last night on earth was spent in imploring God for grace and mercy. March the 19th. I entered the prison at break of day, found him much resigned. He observed, as I entered, that his last night on earth was gone, which he had spent in prayer. At 7 o’clock I visited him again with a company of ladies who had never seen him. Mrs. Richards, of Dansville, took him by the hand, both fell upon their knees, and she prayed for him in the most fervent manner. He then prayed for himself, for his family, for the family of Mrs. Church, who were afflicted by him, for his executioner, and all the world. As we came out, a gentleman remarked that he had never heard a man pray like him. 1841: Peter Robinson, Tell-Tale Heart inspiration? —Marshall Crain, convicted of murder, hanging, Illinois. Crain, a twenty-year-old hired assassin, murdered Sisney and Spence in 1876. The double murder, labeled by the press the “Williamson County Vendetta,” was part of a long- standing feud between the Bulliner and Henderson families of Carbondale, Illinois. Before Crain’s execution, he was remanded to a jail in Marion County in order to avoid a lynching at the hands of an angry mob. (Williamson County, Illinois has an impressively vast catalogue of highlight-reel violence to its history; there’s more about the Great Vendetta and other skeletons in Williamson’s closet in Bloody Williamson: A Chapter in American Lawlessness. China today carried out the controversial execution of Jia Jinglong, a peasant who found a nail gun was his only avenue of redress. Rapacious developers backed by the power of the state expropriating dwelling-places in an environment of weak legal protections make for one of the most deeply felt abuses in boomtime China, and it goes without saying that it’s a racket where the wealthy and powerful dip their beaks and the other 99% shift as they can and nurse futile grudges. According to the Associated Press, Jia’s village near the city of Shijiazhuang “is overwhelmed by a cacophony of drilling, pounding and jack-hammering coming from construction sites. More than a dozen cranes could be seen in the distance, adjacent to high-rise apartment towers still being built.” As if to add a literary flourish to the injury, Jia also lost the girl in the end as his fiancee, now deprived the prospective roof over her head, promptly called off the wedding. That’s because Jia Jinglong didn’t allow his grudge to remain futile: he used a nail gun to murder the local party chief who wrecked his house and life. It is hardly the only time that a desperate common person has lashed back at the cruelties of state capitalism with the pleasurable self-destruction of personal violence. While premeditated homicide with a power tool is surely your basic capital case in any jurisdiction keen on the death penalty, the story behind it brought most of China to Jia’s defense; even some state media editorialized for abating the sentence. That wasn’t only in a spirit of vicariously joining the man’s revenge: the severity of the law towards an ordinary citizen charged with slaying an official raised an obvious equal-treatment grievance when contrasted with the likes of the wife of disgraced party boss Bo Xilai, who had a British businessman assassinated but still dodged execution. Thanks to Twitter friends including @jewssf and @luimnea for tipping me this story. At noon on this date in 1862, William Robert Taylor was hanged at Lancaster Castle before a large crowd (some reports place the number at 100,000) for a shocking spree of violence that took four people’s lives, three of them children. In the 38­year­old man’s pocket was a handkerchief which, he was promised, would be delivered to his wife after his death. The story that ended with Taylor’s execution began in October 1861, when he rented a shop in Manchester, England, from the real estate agency Evan Mellor and Son. The following month, Taylor complained to Mellor about the boiler, saying it was broken and the pipes were leaking and might burst at any time. Whether Mellor had the repairs done or not was never established for sure. But the fact of the matter is that a few months later, on one Sunday in January, the pipes froze and then burst, killing one of Taylor’s four children: Maria Jane, aged seven. She was badly scalded and suffered horribly before dying. Taylor asked Mellor to give him £50 in compensation for the tragedy. * Mellor refused. The two men had already come into conflict with each other because Taylor was months behind in his rent. Now, they were enemies. The grief­stricken family soon ran into further financial trouble. They were short on food, short on coal, and had to bury little Maria in an unmarked pauper’s grave because they couldn’t afford a funeral. Within weeks, creditors showed up to repossess everything they owned, taking even the laundry that was hung out to dry, and snatching a comb right out of of the oldest child’s hand as she was fixing her hair. The Taylor family’s belongings were not worth enough to pay the back rent, however, and Mellor instituted eviction proceedings. Taylor had no legal or even practical basis for continued resistance, but he had the embittered vitor of pride and injury to pit against his Dickensian landlord. Stubbornly, Taylor insisted on remaining with his family at their home in Britannia Buildings rather than submitting to a workhouse, even though by this time they were hungry and cold and had no furniture and nothing to wear but the clothes they stood in. And Taylor pere had a seething grudge against Evan Mellor. On May 16, 1862, Evan Mellor arrived at his offices at St. James’s Chambers, South King Street, and was met in the stairwell by William and his wife, Martha Ann Taylor. Both of them were armed, Martha with a gun and William with a carving knife ten inches long. Without warning, William Taylor stabbed Mellor in the chest eleven times, once penetrating the heart. The dying man stumbled downstairs and a porter saw him and rushed to his aid. In response, Martha Taylor shot the porter. The couple fled from the scene. The porter recovered from his injury, but Mellor died a short time later. The Taylors were eventually caught and taken to the police station. William’s response to his arrest was, “Thank God, I have now finished my work.” He gave the police the keys to his home at Britannia Buildings and told them to use the smallest one to unlock the back bedroom. We are six, but one at Harpurhey Cemetery lies, thither our bodies take. Mellor and Son are our cruel murderers but God and our loving parents will avenge us. Love rules here; we are all going to our sister, to part no more. William was charged with the murder of Evan Mellor, and Martha with being an accessory to murder. (She told police that she and not her husband had killed Mellor, but the evidence proved otherwise.) They appeared at their joint trial dressed in mourning. In court, no mention was made of Mary, Hannah and William Jr.’s deaths. He asked them carefully to consider the character and circumstances of the murder itself. Horrible as it was, fierce and violent as it was, it was of such a nature as could hardly be accounted for by any of the ordinary mental conditions in which men are placed. They were not dealing with a man who up to this time had given any indication of a ruffianly or brutal disposition; but with a father of the deepest affection who succeeded in inspiring the woman standing beside him with a devotion almost unparalleled. They were not dealing with a bloodthirsty man. Guilty (left), not guilty (right). In the end, Martha was acquitted of being an accessory to Mellor’s murder after her defense counsel called the eyewitness testimony into question, but William was convicted of murder. Mary, Hannah and William Jr. would have been consigned to a pauper’s grave like their sister, but the community took up a subscription and raised £60 to pay for their funerals and a fine headstone, next to where Maria is buried in Harpurhey Cemetery. Their father lies buried elsewhere, in a mass grave with other executed convicts. Phrenology fans will surely enjoy the Liverpool Mercury‘s September 15, 1862 gallows reportage. Hanged along with Taylor on the same occasion was a Lancashire trade unionist named John Ward. Ward and some fellow bricklayers had by cover of darkness destroyed some 18,000 bricks belonging to a combative boss. Britain’s grand tradition of machine wrecking was by this point no longer a capital crime by its own right, but returning from a satisfactory operation the masked workers were challenged by two policemen in Ashton-under-Lyne and one of those cops was shot dead in the resulting affray. Ward paid that forfeit. * Historical inflation measurements get a little dodgy when the increments are centuries, but this 50 quid would equate to a demand for several thousand pounds today. Corrupt and degrading political associations such as pervade the larger American cities have their natural result in the career of the wretch who expiated his crimes upon the gallows in this city to-day. He bore the name — Heaven save the mark! — of George Washington Fletcher. Born of a good, respectable family, with a brother an exhorter in the Methodist Church, he has been the black sheep of the flock. Obstinately repelling all good influences, he has deliberately followed a life of crime from boyhood up, and nothing so well shows the depths to which local politics in this city have sunk as the fact that this man was able defiantly to pursue the life he did merely because he had political friends whose dirty work he did. Secured immunity from punishment by the small fry ward politicians to whom his aid was valuable, this man was nurtured in the belief that for him the law could have no terrors that “influence” could not remove. The leader of a gang whose services as repeaters at the polls in the interest of a corrupt ring of so-called republicans, Fletcher found that he could defy the law and its officers. His history is a catalogue of offences against the law, but its sudden ending in the midst of his career, in the very prime of life, proves that justice does not always sleep in Philadelphia, even when a politician is the transgressor. Fletcher was born in a portion of the city called Southwark in 1845. He was only eleven years of age when his innate cruely of disposition showed itself in cutting off pigs’ tails at a pork packer’s yards. He was committed to the House of Refuge for this offence, was soon released and was a couple of years later engaged in a row with a colored boy named Robert Clayton, now living in Atherton street, near Fletcher’s old home, and gave him a serious stab in the side with a knife. At the close of the war he shiped in the navy, and was drawn to fill the Swatara‘s quota, one of the vessels which accompanied Admiral Farragut‘s fleet to Europe. On their homeward cruise he deserted from the Swatara at Antwerp. He swam ashore. He then made his way to Liverpool, from which place he worked his passage to Philadelphia on a merchant ship. Fletcher and James Hanley had both been runners with the Marion Hose, of the old volunteer fire department, and on the formation of the paid department both secured positions. The two had been companions in boyhood, but had grown up very different in character, Fletcher having become a young “rough” and political “striker,” and Hanley a quiet, inoffensive, sober and industrious young man. Fletcher and his chosen companions planned a series of robberies, but obtained amateur “kids” to perform the dangerous work, while they obtained the “swag” and divided the profits among themselves. Fletcher’s later career as a fireman was marked with acts of violence, one of which was the shooting of a companion named Stark, which occurred some time previous to the murder of Hanley. This case was settled, like many others in which he was involved, and never reached the courts. Fletcher and his early companion Hanley appeared to continue on friendly terms until the spring of 1874, when Fletcherwas arrested, charged with having committed an outrage on a girl about fourteen years of age, named Mary Elizabeth McHugh. On the 27th of April, 1874, the Grand Jury found a true bill against him on this charge, and he was tried three days after and acquitted, but the accusation cost him his position in the Fire Department. After losing his situation Fletcher was for a long time out of work. He complained greatly of his troubles and placed the entire blame on Hanley. He frequently made threats that he would kill him, and his desire for revenge increased as his repeated efforts to have himself reinstated in the Fire Department were unsuccessful. On election day, November 2, 1875, the day before Hanley was murdered, Fletcher attempted to vote illegally at a poll in the First war. Frank Wilcox, residing in Redwood street, interposed objections, whereupon the fireman rough levelled his pistol and fired directly at him, but the motion of a friendly hand caused the barrel to point downward, and the ball lodged in Wilcox’s foot. That same day, with pistol in hand, Fletcher was scouring the vicinity of the “Neck” with the intention of killing one Antonio Hale. Shortly before eight o’clock on the evening of the 3d Fletcher visited the engine house to which Hanley was attached. Pinker replied that he was. “All right, then,” said Pinker, “I will call him,” and he then called up stairs. Hanley was reading a book, but laid it down and came down stairs immediately. The words, “How are you to-night?” passed between him and Fletcher, and they went toward the the outside together in a friendly way. Hanley leaned against the jamb of the door, and as a drizzling rain was falling Pinker asked him if he had not better put a coat on. Hanley said yes, and asked Pinker to get him one. The latter took a coat from the truck and advanced with it to Hanley, telling him where to place it again when he was done with it. Hanley had just raised his arms to pull the coat on when Fletcher drew a small pistol and fired. The ball entered Hanley’s left breast, cut through the lung and passed into the heart, and, reeling back into the engine house, the wounded man exclaimed that Fletcher had shot him, and fell. Pinker and some of the other firemen lifted him and carried him up stairs to a lounge, on which he expired in about five minutes. Fletcher was at once arrested. 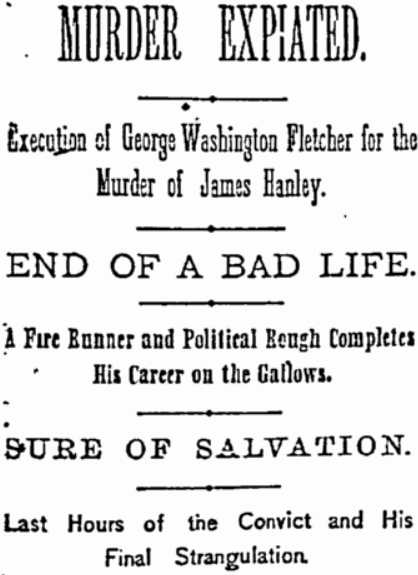 His trial took place a few weeks later, and, a verdict of guilty of murder in the first degree having been agreed upon by the jury and a new trial refused, Fletcher on the 12th of February was sentenced “to be hanged by the neck until dead.” The Governor nixed fixed just one year ago for the execution, but through the legal delays and arguments in the Supreme Court the execution was postponed. Since Fletcher’s conviction the most strenuous efforts have been made to secure his pardon, mainly by politicians, in whose behalf he has often rendered important services at the polls. James H. Heverin, the prisoner’s counsel, has also labored most faithfully in behalf of his client, not ceasing his endeavors to procure a pardon or a reprieve until within twenty-four hours of his death. HIS LAST HOURS ON EARTH. Recently the conduct of the condemned man has undergone a change under the ministrations of the Rev. 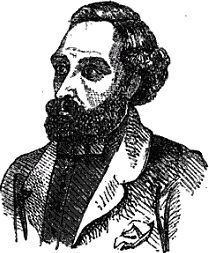 Camp, the Methodist preacher, who has been in faithful attendance upon him. Fletcher leaves a wife and three children, aged respectively five, three and about two years, all of whom have been frequent visitors to him and have had a softening effect upon him. He has gradually come to be repentant for his crimes and to take comfort in the consolations of religion. Yesterday he was visited for the last time by his family, his counsel Mr. Heverin, Rev. Dr. Westwood, George H. Stuart and others. His last farewells are said to have been very touching. Fletcher went to sleep about ten o’clock last night and slept soundly for five hours. His spiritual advisers were with him until he retired, and he prayed fervently with them. When he awoke this morning, at half-past three o’clock, he lit a cigar and sat on a stool in a thoughtful mood. He talked to Keeper Everly of his death, and said he was prepared to die. Early this morning he was visited by Rev. Messrs. Camp and Pearce, and sang with them in a clear, loud voice, the “Crucified One,” one of Moody and Sankey‘s hymns, commencing, “It is the promise of God full salvation to give,” which seemed, of all sacred pieces, his favorite one. His voice rang out clear in the corridor, and the prisoners near him must have distinctly heard it, for his door was partly open. His brother-in-law paid his farewell this morning. The Sheriff and his party arrived at the prison at eighteen minutes before ten o’clock, and upon being told that his counsel were among the visitors Fletcher sent for them. An affecting interview was the result, all of the party, including ex-Sheriff Leeds, coming out of the cell with their eyes full of tears. The scaffold was erected in the convict’s corridor. At ten minutes past ten Fletcher was brought from his cell, and the dismal procession walked to the gallows. As Fletcher stepped on the fatal trap and faced the spectators below he bore a subdued expression, but displayed no sign of trepidation. A neat black suit* gave him a somewhat clerical appearance, which was heightened by his attitude, his hands being peacefully clasped together, while his head slightly inclined as Mr. Camp prayed fervently that as God had permitted His Son to die for sinners and that whomsoever believeth in Him shall have everlasting life, so might His servant, George Fletcher, have his sins pardoned and be admitted to everlasting life. Then the doomed man, still betraying no sign of wavering, shook hands with the clergymen, the Sheriff and others, and straightened himself up, while the noose was adjusted, his hands manacled behind his back, and the white cap drawn over his face. He was then left alone on the scaffold, and all but one of the supports under the trap door on which he stood removed. Rev. Mr. Camp then lifted his voice in a final prayer, saying, “Now, Lord, we commend the soul of George Fletcher to thine everlasting care. Lord Jesus, receive his spirit, in the name of the Father, Son and —-” He had progressed thus far when he was interrupted by the springing of the trap by the Sheriff, who, by pulling the rope, had pulled away the last upright, and Fletcher’s body fell with a jerk. The trap was sprung at eighteen minutes past ten. The neck was not broken, and the poor man died slowly by strangulation. At twenty-five minutes past ten, seven minutes after the fall, the pulse was beating 140 to the minute. It lessened rapidly, but it was not until thirty-five minutes past ten, or seventeen minutes after the fall, that the pulse and the heart ceased their action. The body was then cut down and taken to the deadhouse, where the physicians formally declared death to have resulted from strangulation. On this date in 1858, a slave named Lucy was hanged in Galveston for killing her mistress. The innkeeper Maria Dougherty was chagrined in 1857 when her slave voiced disgruntlement by torching her Columbia Hotel. (The fire was detected in time and put out.) So, she stacked additional punishments on the dissatisfied Lucy, who in her turn escalated her revenge. In the first days of the new year, Mrs. Dougherty disappeared — next seen several days onward afloat in a cistern, skull mangled by a furious bludgeon. “Yes, I killed her, and I would do it again!” Lucy allegedly exulted. On this date in 1848, Harriet Parker was publicly hanged in front of the Debtors’ Door at Newgate for the murder of her lover’s two young children. The sad story is described in Nicola Sly’s In Hot Blood: A Casebook of Historic British Crimes of Passion. Harriet was a widow. Her partner, Robert Henry Blake, was legally married to another woman, but they were separated and he lived with Harriet and two of his children by his wife: Amina, age seven, and Robert Jr., age five. Despite residing at Cupid’s Court in London, their relationship was far from blissful. Robert was an inveterate womanizer who openly flaunted his affairs. It all came to a head on New Years’ Eve, 1847, when Robert told Harriet he was going to the theater without her. He’d made plans with a friend, Stephen Hewlett, and she wasn’t invited. Harriet was furious and suspected, rightly, that Robert was actually going to be with another woman. She followed him as he left their home and tagged along behind him wherever he went, telling him he’d better get used to it because she would be with him all night. Robert did meet up with his friend Stephen and complained of Harriet’s jealousy. “If I was to kiss that post,” he said, “she would be jealous of it.” Eventually he was able to give Harriet the slip, though, and went immediately to a prostitute’s house, where he stayed the night. Harriet, meanwhile, angrily searched for her errant lover for hours, saying darkly that Robert would regret his actions for the rest of his life. He didn’t take her seriously. He should have. A few hours after midnight on New Years’ Day, witnesses saw Harriet walking the city streets with little Amina, still asking people if they’d seen Robert. The next time anyone saw her was at 4:00 a.m. She was alone, and knocked frantically at her neighbor’s door. The neighbor opened the bedroom window and looked out, and asked what on earth was wrong. I have murdered the children to revenge their father. They were innocent — through my vindictiveness I have done the deed. A look in at the Blake/Parker house showed Harriet was telling the truth: Amina and Robert Jr. were lying in bed, quite dead. They had been smothered and their bodies were still warm. Harriet’s clothes were stiff with dried blood, but it wasn’t the children’s; it was her own blood, from a beating Blake had given her a few days before. Harriet had to be persuaded not to plead guilty to her crimes from the outset. At her trial, which was presided over by two judges, her defense was that of provocation. Her attorney argued that Robert’s horrible treatment of her had driven her out of her mind and she was not a “responsible agent” at the time of the murders. The Home Secretary did receive the jury’s recommendation of mercy, but didn’t act on it. 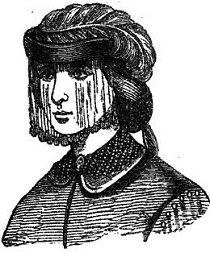 The widespread perception was that if Harriet had murdered her louse of a partner rather than his children, she would gotten off with a lesser verdict of manslaughter. But the deaths of two small children, killed for the actions of their father, could not be countenanced. Harriet spent her last days dictating letters to people. In one of several letters sent to Blake, she wrote, “Awful as my fate is, I would rather die than live again the wretched life I have done for the last twelve months.” She sent him a Bible and a pair of cuffs she’d knitted, and advised him to return to his wife and forsake drinking, bad company and other women. The crowd of persons assembled to witness the awful scene was immense, and far exceeded in number those present at any execution of late — their conduct, also, we regret to add, was worse than usual, the yells and hootings which prevailed for some time previous to the culprit making her appearance being perfectly dreadful. Mrs. Moore visited her in her cell and found her surprisingly at ease. “I have received more kindness in Newgate than ever since I left my mother’s home,” Harriet told her former neighbor. Harriet was hanged by one of Britain’s most famous executioners, William Calcraft — although it was never the tidiness of his executions that he was famous for. Calcraft didn’t handle Harriet all that well, either: according to one account, Harriet’s “muscular contortions and violent motion of the hands and arms … were truly dreadful” as she choked to death. Her frame was so slight that the fall didn’t break her neck.